If you are new to Transactional Analysis, this is an excellent circle to find out more. 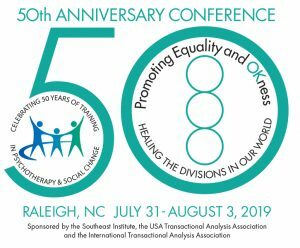 This circle includes articles, book reviews, videos, and other information that will help you become familiar with all the different applications of TA. Excellent circle for new members. dramatriangle.com Steve Karpman was a contemporary of Berne and developed the Drama Triangle. claudesteiner.com Claude Steiner was a contemporary of Berne and wrote about several different life scripts. Bibliography of Eric Berne books. This includes an overview of 6 books written by Eric Berne, MD. Born to Win by Muriel James and Dorothy Jongeward is an excellent overview of key TA terms. 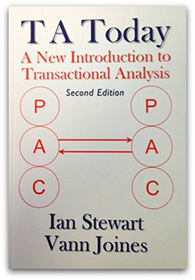 TA Today by Vann Joines and Ian Stewart is a must-read for the serious TA student. Provides more details of key TA theory. The Seven Principles for Creating Your Authentic Life is an interactive electronic book that focuses on basic definitions and diagrams of TA for the new student. Features several video clips of the author explaining concepts and using real-life examples of TA. Available at the iBookstore. Scripts People Live by Claude Steiner is a comprehensive overview of one of Berne’s most popular concepts of Life Positions & Scripts.